When catastrophes happen due to natural hazards, technological risks or even terrorist attacks, the first priority is assessing and addressing casualties and injuries. The second is attending to the basic needs and public well-being of the population by having a resilient, critical infrastructure in place. By making sure essential power and water is available, the subsequent disaster effects that can overwhelm initial damages and injuries will be reduced. When these systems are not resilient, communities may endure long-term economic and social impacts and face major challenges in returning to normalcy. However, despite its importance, many mature regions in the world have aging, under-maintained systems while developing economies struggle to cost effectively put these systems in place to meet rapid growth and demand. During this interactive session, a diverse group of stakeholders detailed these challenges and provided a summary of the most important factors needed to improve the overall risk profile (including codes, standards, design, construction quality, operation, and maintenance) of these systems. Check out the UR2016 blog by Lou Gritzo, FM Global’s Vice President of Research. 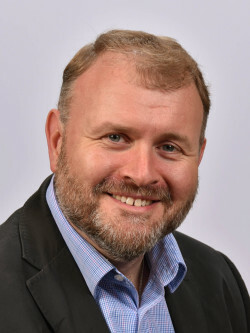 Tom Roche, who has more than 20 years’ of risk management experience, is responsible for working with a variety of agencies, national bodies and associations to influence national codes and standards that relate to loss prevention in Europe. 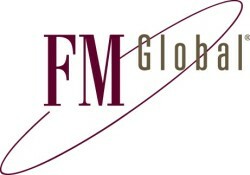 He has travelled extensively across the globe supporting FM Global’s clients in establishing loss prevention policies as well as implementing risk strategies aimed at improving the resilience of their businesses to property risks. He joined the company in 1993 as a field engineer and has specialised in working with a broad base of companies in the fast-moving consumer goods, pharmaceutical and power sectors. Prior to his current appointment, Roche served in a variety of engineering and engineering management roles across the UK. He spent the last 10 years as the engineering manager responsible for supervising teams working in the United Kingdom, Netherlands, Scandinavia, Southern Africa and the Middle East. Roche earned both a bachelor’s and master’s degree in mechanical and electronics engineering from Lancaster University. John Schneider is the Secretary General of the GEM (Global Earthquake Model) Foundation, a private, non-profit company based in Pavia, Italy. GEM is an international organization devoted to openly developing and disseminating earthquake hazard and risk models and information globally. He previously represented Australia on the GEM Governing Board from 2009 to 2015, serving as Chairman from 2013-2015. John is also a member of the UN Office for Disaster Risk Reduction’s Science & Technology Advisory Group. John received a PhD in geophysics from the University of Wisconsin (USA). He subsequently held positions in academia and private industry in the US, including research associate at Carnegie Institution for Science studying seismo-tectonics in South America; manager of earthquake hazards at the Electric Power Research Institute; and as chief scientist for Aon-Impact Forecasting. 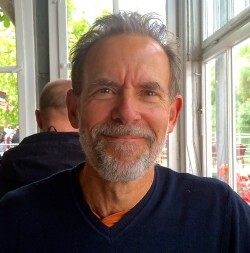 John moved to Australia in 2000 to lead the development of a natural hazards risk assessment capability for the Australian government, addressing urban risk in Australia, and later on capacity building programs in partnership with developing countries in Southeast Asia and the Pacific. In 2014, John established Schneider Geohazards Pty Ltd, specialising in natural hazard risk assessment and disaster risk management advice in Australia, the Asia-Pacific region and globally. He has been based in Italy since February 2016 to work with GEM. Based in Victoria, Canada, Dr. Tuna Onur is a structural engineer working as a disaster hazard and risk consultant. 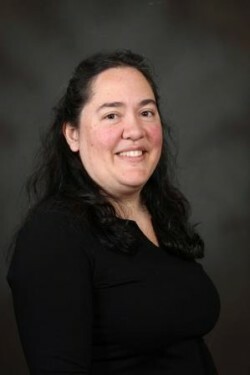 She currently serves on the National Building Code of Canada’s Standing Committee on Earthquake Design, which is responsible for the seismic provisions of the code. She is also involved in the development of UN National Risk Assessment guidelines. Previously, she worked at Risk Management Solutions, Inc. in California, where she modeled earthquake hazards, managed catastrophe risk projects, and communicated risk and uncertainty to the insurance industry and financial regulatory agencies. Prior to joining RMS, Dr. Onur conducted earthquake hazards research with the Geological Survey of Canada. She holds a PhD in structural engineering from the University of British Columbia, where she focused on vulnerability of structures and regional earthquake risk in southwestern Canada. 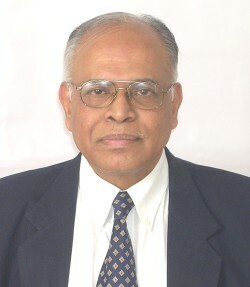 Vasudevan Suresh has more than 51 years’ professional experience in housing, infrastructure, rural and urban development and built environment sectors. He serves as Chairman, Housing, Prefabricated Construction & Planning Committee and is a member of the Smart Cities Committee for the Bureau of Indian Standards (BIS). He also serves as the Vice Chairman, National Building Code of India 2015, which is the guiding document for regulating a safe built environment. In addition, he is a member of the NBC panel responsible for the New Part 11 approach to sustainability and is helping to revamp building and fire regulations as well as develop control rules for state governments, municipal corporations and municipalities for the built environment and infrastructure. Currently, Suresh serves as Chairman of the Indian Green Building Council Policy and Advocacy Committee and is the Director of the Hiranandani Group project companies. He is also a member of a number of committees, including the Government of India’s task force on rural housing and habitat as well as their expert group for the Shyama Prasad Mukherji Rurban mission (SPMRM); the CII National Committee of Real Estate & Housing, and the Indian Merchants’ Chamber Real Estate and Infrastructure Committee to name a few. Previously, Suresh held various roles at the Housing and Urban Development Corporation (HUDCO) for more than 23 years, including CMD. He was instrumental in HUDCO‘s assistance and direct implementation projects for the Latur, Uttarkashi, Chamoli and Gujarat earthquakes as well as the Odisha Cyclone. 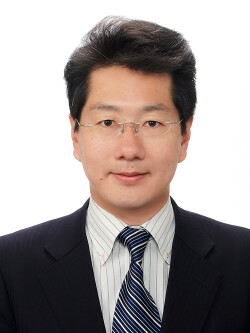 Dr. Nagahisa Hirayama became associate professor, Disaster Mitigation Research Center, Nagoya University on April 1, 2016. The Disaster Mitigation Research Center was founded in December 2010, with the aim of developing solutions to reduce damage caused by a massive earthquake such as the Nankai Trough Earthquake. His academic background is water supply engineering with a Doctorate of Engineering, graduating from department of environmental engineering, Graduate School of Kyoto University. Currently, his research activity focuses on evaluation and development of disaster resilience and business continuity in water utilities and redesign of water distribution system for a depopulation society. From 2013 to 2016, Dr. Hirayama served as senior researcher at National Institute for Environmental Studies, Japan, and had responsibility for managing ‘Environmental Emergency Management’ research project. From 2008 to 2013 he was associate professor at Kyoto University, Japan, and he had 5 years of experience in educational coordinator of ‘Human Security Engineering’ education program, Kyoto University, in which over 100 overseas doctoral students were involved. From 2004 to 2008 Dr. Hirayama was research scientist at Disaster Reduction and Human Renovation Institution, Japan.